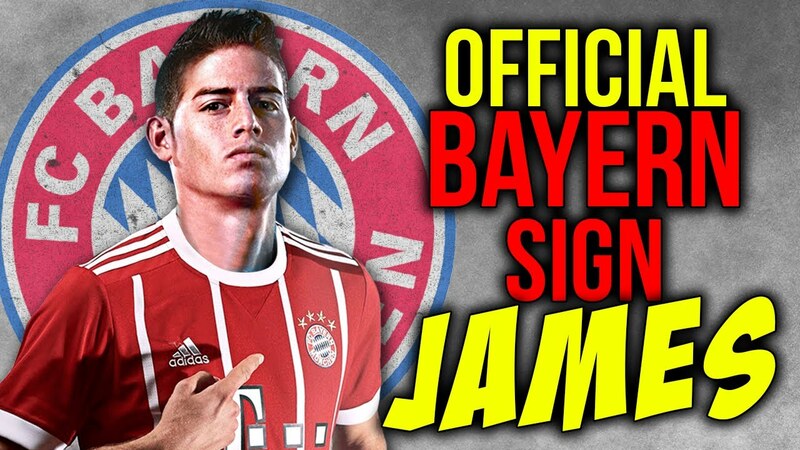 The captain of the Columbia National team, James Rodriguez has signed for German Champions Bayern Munich on loan for two seasons with an option to buy. Bayern Munich giving him an opportunity to join up with former boss Carlo Ancelotti who signed him from Monaco in 2014 during the Italian's two-year managerial spell at the Spanish capital. James Rodriguez signed a six-year deal with Real Madrid from Monaco for a reported £60 million in 2014 after he emerged the top scorer at the World cup. The Columbia captain did not get enough playing time like he would have wanted under Zinedine Zidane who replaced Rafa Benitez as manager in 2016 and as such has opted for a move to Bayern Munich in a bid to increasing his game time. James has made 111 competitive appearances for Real Madrid with 36 goals and 41 assists.